all paintings are done for my next show, a dual solo in London next month. 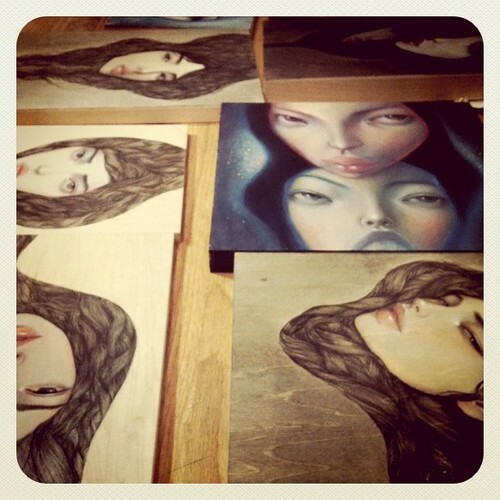 up there, are the works varnished & drying, waiting to be scanned last night. now they're at the framers and i'm so nervous! and they're off my hands. when they send off their baby to daycare for the first time. so it's making me even more nervous. nervous for what, i don't know. good in their new frames.